Today we look at a new pack from Zenhiser. 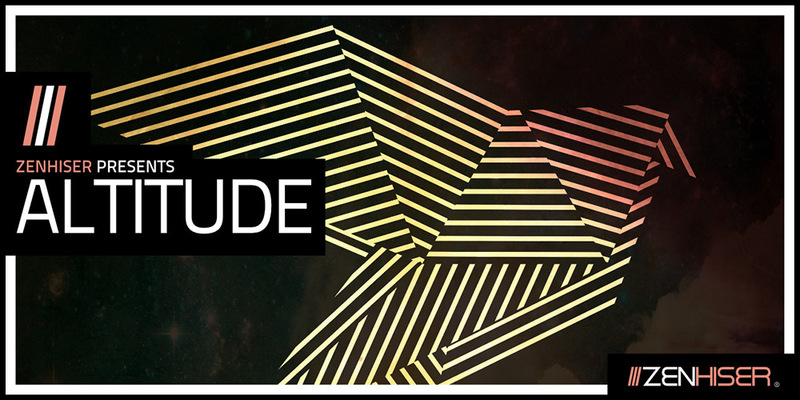 Altitude is a gorgeous, melodic and graceful collection of Future Bass song starter stems. As usual the first thing we notice as usual the layout of the pack is spot on, not only clearly labeled folders but clear markings on the file names with regards to key and BPM info. Future Bass is defiantly the buzz word at the moment and there are plenty of sample packs flying around for the genre, but as usual Zenhiser cut through the rest with a huge pack (7GB) of top class stems and samples for your productions. All the sounds and stems are ultra usable and the quality of them is superb. One of the big feedback response we got to Zenhiser packs and indeed one of my personal feedback requests, was that Zenhiser would include the MIDI files in their packs. In my opinion the guys over there write some great hooks and melodies and it would complement the packs if they done this. Needless to say they have listened and now included in this already excellent pack are all the MIDI files as well, which is a HUGE bonus and makes the pack even more usable. Check out the demo below, yes we know you want it now right? Ok…use the link below to get downloading immediately. A top rate song starter pack for your Future Bass projects. Covers all your needs and MIDI included to help with some inspiration. Go grab it now!